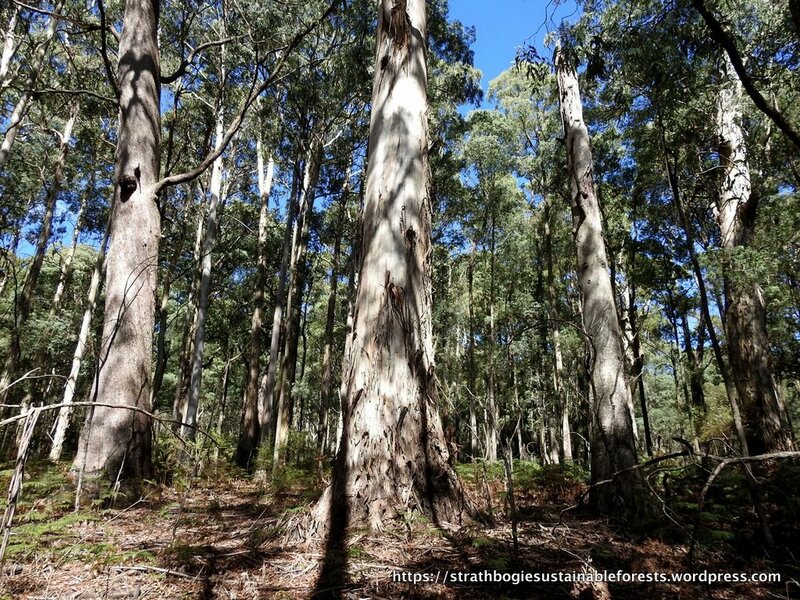 The longer we campaign for improved forest management in the Strathbogies, the more opportunities we have to share this special corner of the north east with the wider world. The 2017 Honeysuckle Art Show was one such opportunity. This year’s art show theme was ‘Ageing’, so it seemed fitting to celebrate those ancient trees, and the habitat they create, that are so important for the health of the forest ecosystem. The main image (above) is of the forest display at the show in the Violet Town Hall. The slideshow (below) shows the individual pics that comprise the exhibit. All images were taken in the Strathbogie Forest on the regular community activities run by the group. Click to view the slide show. And we even received an ‘Honourable Mention’, in the ‘Textiles, print making & collage’ category! 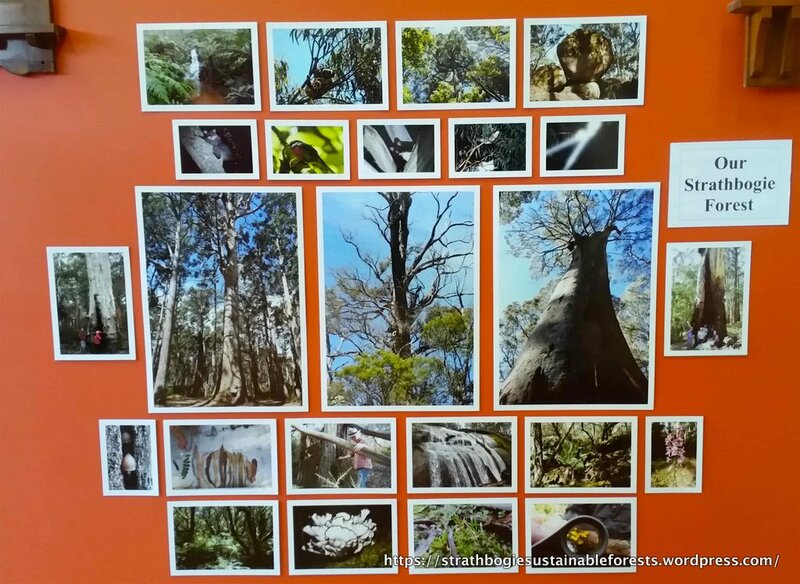 This exhibit was part of our 2017 Strathbogie Forest Citizen Science Project. This project was funded with the support of the Victorian Government. Perfect winter weather accompanied our group of 47 visitors to the Strathbogie Forest on Sunday. We came to see and pay respect to some of the grand old trees that still stand in this forest. Messmate on stilts – how on earth? Standing inside – humbling and unnerving. A call of “Gold—I’ve struck GOLD!” A township of 500+ people. A rush! 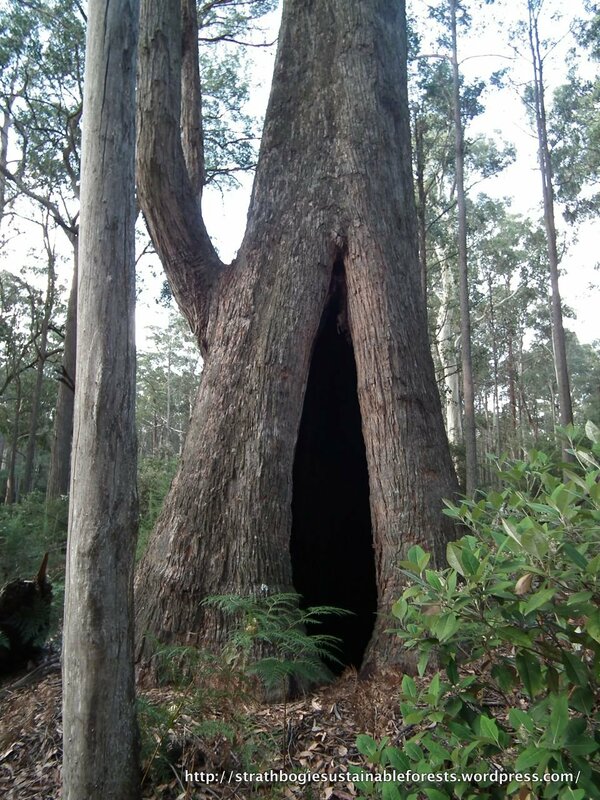 Saturday April 26th, 2014 – A history walk of the forest & the old Tallangalook township, with Anne Simpson and friends. Meet at 1.30pm at the Strathbogie Memorial Hall to drive to the area.